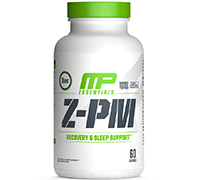 MusclePharm® Z-PM Essentials™ promotes deeper and more efficient sleep to maximize healing, tissue repair, anabolic hormone production, testosterone levels and muscle growth. 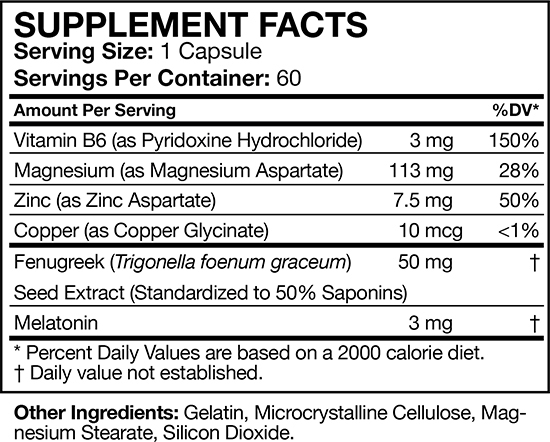 It delivers the benefits of precise dosages and Z-Core PM™ ingredient ratios, and adds the synergistic effects of fenugreek to support natural levels of free testosterone and healthy libido function in women and men. Consume one serving (1 capsule) of Musclepharm Z-PM 30-60 minutes before bedtime. Use as part of a healthy diet and exercise program.